Considered a financial and international banking center, the Bahamas is located close to the south coast of Miami. It ranks first for its important financial and banking sector and having its own securities market. 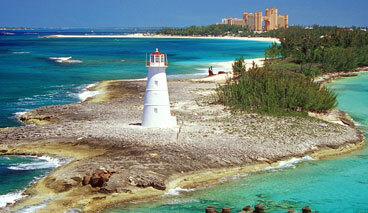 Bahamas is considered second in the financial sector in the Caribbean . Contrary to the majority of offshore jurisdictions, companies constituted in the Bahamas can carry out business or purchase real estate properties inside the territory with complete privacy and confidentiality, thus making it an attractive country to invest in real estate. Since the formation of the International Companies (IBC) Act in 1990, thousands of companies have been constituted in the Bahamas. These companies as well as its owners and/or shareholders are exempt from paying taxes in the Bahamas for a period of 20 years.